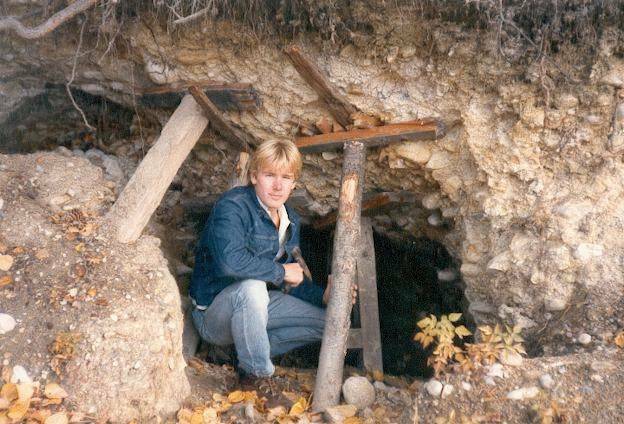 It has been a long time since I last updated any information on the tunnels of the Visoko valley, where the situation has changed significantly since 2006, when I wrote my first article. Given that the Osmanagic microcosm is now buzzing with the news of a “great discovery” (bs) inside the Ravne tunnel, now seems an appropriate time to review the facts, their interpretation by Mr. Osmanagic and his supporters, and the various hypotheses about the tunnel’s origins. Since the Osmanagic Foundation has never seen fit to publish an accurate description, it is impossible to give the exact altitude of the underground network, but, judging from all the photographs, it seems that we are looking at sub-horizontal galleries. In that case, the network cannot be situated at any great depth, between 15 and 20 metres below the surface at most. 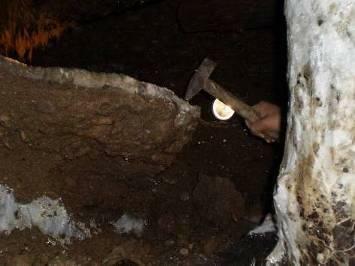 The material through which the tunnel was dug is clearly of natural origin, despite the insistence of some pseudo-archeology enthusiasts that it is synthetic . The geological map of Visoko identifies this terrain as Miocene conglomerates (Lasva series conglomerates); it is possible, however, given the lack of detail on the geological map, that these conglomerates are covered in places by an ancient alluvial terrace (at a height of 55 or 60 metres above the recent Bosnia alluvium at 420 metres) that is not shown on the map. The geophysicist, Amer Smailbegovic, who visited the first part of the tunnel before the widening undertaken by the Foundation, also mentions these conglomerates in his unpublished geological report (see the first document on this page). He, too, classifies them along with the Lasva conglomerates that form the basis of the northern and eastern slopes of Visocica, describing them as a mixture of dolomite, quartz and slate, rounded off to a greater or lesser extent and unsorted, suspended in a friable, calcareous-sandy matrix  (page 8). On page 18, he also notes that the tunnel appears to have been established at the contact between the conglomerates of the upper series of Lasva, and the underlying older sandstone. The stratigraphic succession therefore seems to be the same as at Visocica: coarse sandstones overlain by conglomerates, but with local differences in sediment composition. These are the same blocks of sandstone noted by Mr. Smailbegovic as being present in various parts of the tunnel ; according to him, their function is to reinforce some of the walls and divergent tunnels. 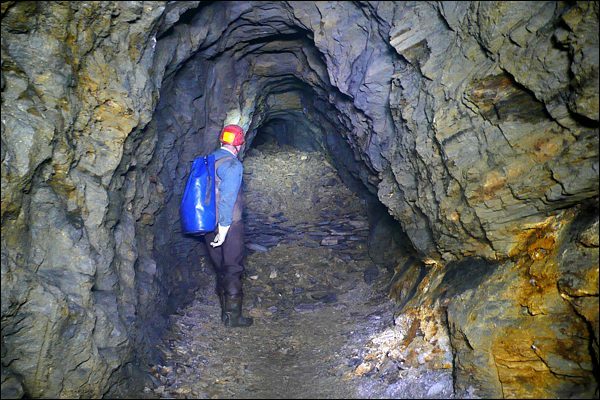 Finally, let us note that, on the one hand, about thirty metres into the tunnel, he observes that there is a deterioration in the cohesion of the conglomerate, with an increasingly friable, non-cemented matrix; and, on the other hand, that the tunnel is very well ventilated. This he attributes to the presence of air ducts every 15 metres – although there is no trace of any such ducts to be seen on the various published photos of the tunnel, unless he considers the side openings as ventilation ducts. (We may note that these photos do indeed appear to show the contact, mentioned above, between sandstone - here relatively fine - and conglomerate. 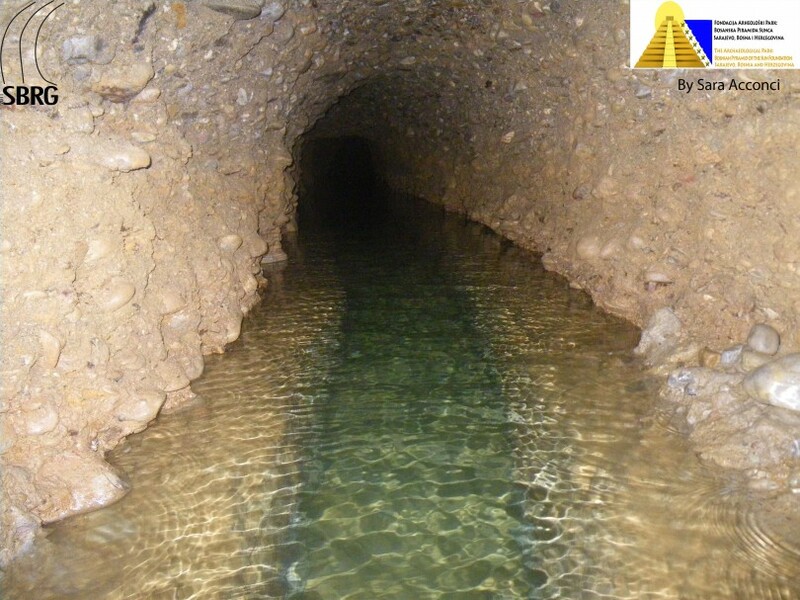 Here again, the base of the tunnel seems to follow the exact line of the contact, with only the central drainage channel following a course through the lower layer). GPR images are very difficult to interpret, but, although it is far too early to offer any suggestions about the nature of this anomaly, it is very unlikely to be an object of natural origin. As far as Mr. Osmanagic and his friends, such as his supporters (or rivals?) 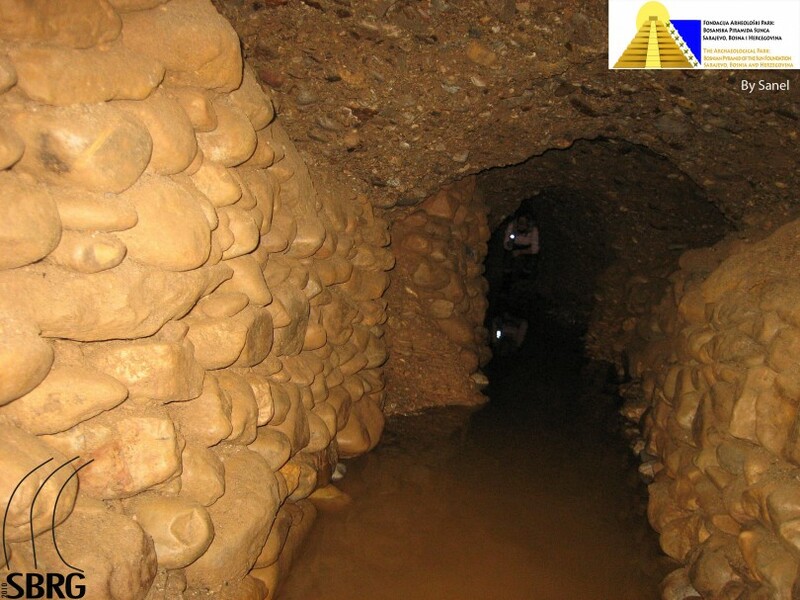 in the SB Research Group, are concerned, there is no doubt that the Ravne tunnel is connected with the ‘pyramids’. This is a certainty beyond all question; even more than that, it is a prerequisite. Since 2005 (bs), Mr. Osmanagic has been claiming that there must be an ‘underground complex’. 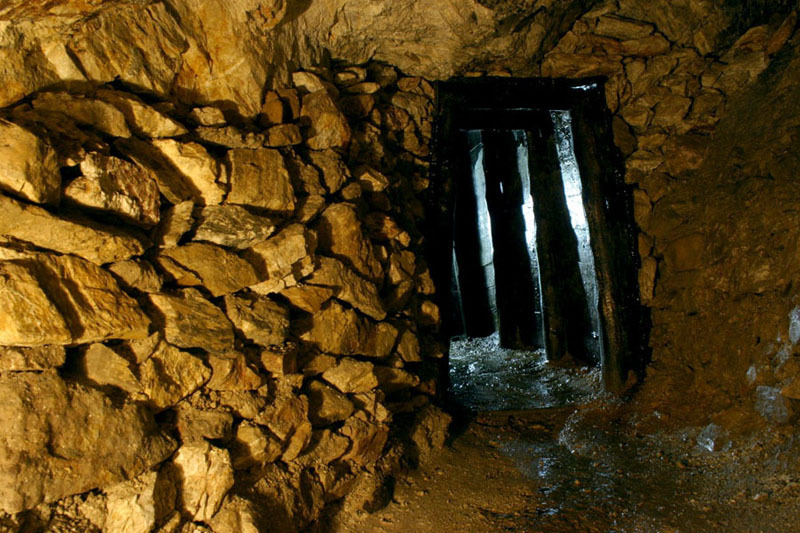 Given that there are underground tunnels beneath the pyramids of Giza and Teotihuacan, it necessarily follows that there must also be tunnels under the ‘pyramids’ of Bosnia. Therefore, any subterranean network discovered in the area must necessarily be part of such a ‘complex’. 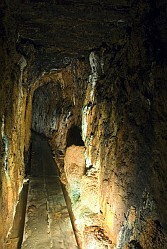 It is this assumption that forms the basis for the frequent utterances by Messrs. Osmanagic and Debertolis about the length of the Ravne tunnel being three kilometres  (i.e., the distance from the hill of Visocica), even though no more than 300 metres of tunnel had so far come to light. one over 32, 000 years old, responsible for constructing the ‘megaliths’. The ‘megaliths’ would have been located above underground streams, although at a time before the tunnels were in place (see below): so, presumably, out in the open. a second, dating to between 32,000 YA and 5,000 YA, that built the pyramids and excavated, or constructed, the tunnels. 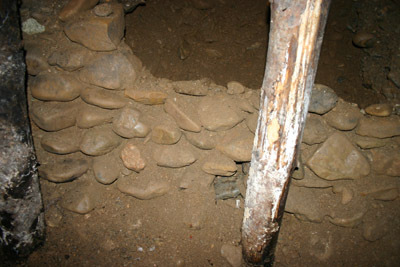 The assumption is therefore either that the conglomerate through which the tunnel was dug was deposited at some stage later than 30,000 years ago (according to the theory of Semir Osmanagic’s father, Muris Osmanagic, see here; and of Semir Osmanagic himself, who believes that this second civilization is certainly “much less than 32.000 years, because time was needed for conglomerate to form from the floods and conglomerate sedimentation”); or, the theory favoured by Professor Debertolis (see this article (It.)) : that the tunnel was built from scratch, using an artificial conglomerate, and then covered with 20 metres of sediment. 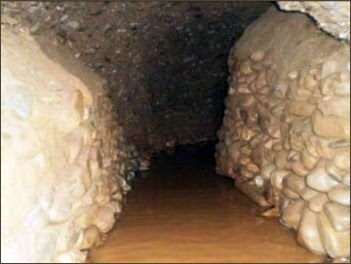 a third civilization, dated to a time before 1000 BC, who used huge amounts of material to close the tunnel off, and also ‘cleaned’ it, which would explain the complete absence of artifacts. and a last civilization, the only one that Mr. Osmanagic slots into traditional chronology, as he concedes that there could have been an occupation of the tunnel for a time during the Neolithic somewhere between 3000 and 4600 BP. However, the objects that the Foundation sent for dating had no resemblance at all to stalactites and stalagmites! The sample dated at 5,080 years, for instance, described as having come from a stalagmite, is shown in this document to be something else altogether! This, therefore, is probably, a case where first, the layer of calcite has formed within the conglomerate, and, subsequently, a piece of conglomerate has become detached following a rupture, rather than vice versa. 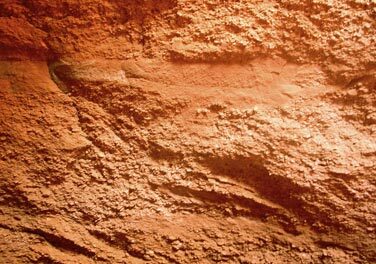 The material dated would therefore give a result that would be the age of the calcite deposit in the crack, rather than the date when the tunnel was dug (see also this interesting discussion (it) with Italian geologists on the subject). 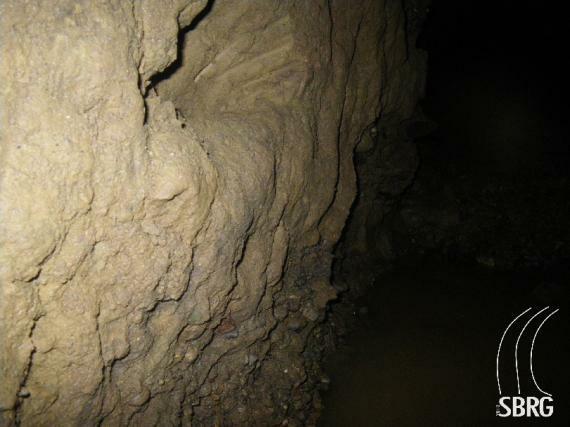 Generally, what observers find striking is the low number and poor development of speleothems in these galleries; even with a matrix weak in carbonate, which would therefore mean a very slow development of stalactites and stalagmites, one would expect a tunnel several thousands or tens of thousands years old to contain stalactites somewhat longer than 5 centimetres, as I have already noted here. Now to the question of the purpose and use of the tunnels, a subject on which the pseudo-archaeologists’ imaginations break joyously free of all bounds. Each and every hypothesis is successively, or sometimes simultaneously, presented. 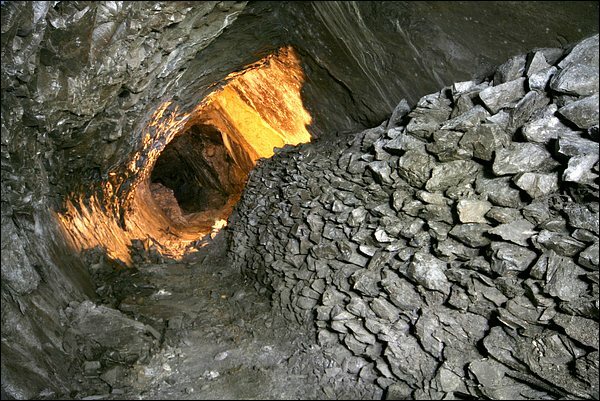 Thus, the Ravne tunnel could be a place of worship, of sacrifice, of healing, or of energy production; or a tomb, a prison, or a potential Chernobyl ... There is no evidence yet, of course, to support any of these suggestions, and neither Osmanagic nor Debertolis seems able to choose between them – although this doesn’t prevent these theories being thrust in our faces as facts rather than hypotheses. We learn that the tunnel supposedly forms part of “a labyrinth tens of kilometers in length”, linking all the ‘pyramids’ together; that the tunnel had a defensive function, with the ability to repel invaders by creating unlimited numbers of artificial whirlwinds (bs); that it was “a place for regeneration and revitalization” capable of transforming ‘negative energy’ (sic) into ‘positive energy’ (re-sic); that it was used as a quarry for the extraction of materials used to build the ‘pyramid’ of Visocica; that it was used for sacred rituals; and that within it lies “one of the oldest ceremonial altars on the Planet”... The members of the Italian ‘scientific team’ are very much in the forefront on this question, managing to transform the tunnel not only into a piece of ‘bio-architecture’ with thaumaturgic effects, capable of treating arthritic conditions, but also into a veritable ‘Pandora’s Box’ containing some unspecified danger purposely sealed off by the blocked tunnel, perhaps “something like Chernobyl”, also guarded by mysterious misty entities capable of moving independently of air currents. The discovery of a structure buried beneath the tunnel floor (bs) has received little by way of comment on the website of the Foundation, which remains remarkably tight-lipped (bs), refusing to suggest any interpretation at all before the results of the investigations are known . But the discovery has given new life to the imaginations of the SBRG members, particularly to Professor Debertolis. 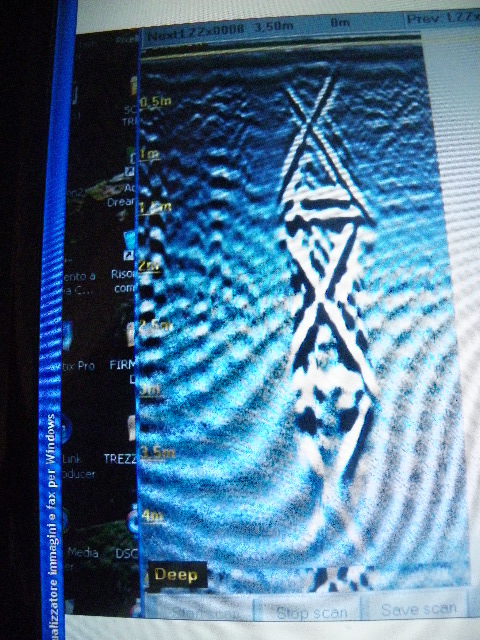 On his website (it) appears, with a bravura flourish, the following claim: the anomaly detected by ground penetrating radar is a “very ancient grave” - ​​and this is “confirmed” (“L’anomalia al georadar all’interno dei tunnel si è dimostrata essere una tomba molto antica con due camere”) – containing “two very important people”, perhaps a king and a queen (“È chiaro che si tratta di due persone importanti. Un re e la sua regina ?”). It was most probably with a view to protecting this tomb that the tunnel was completely blocked off with soil for 350 metres (“Soprattutto appariva inspiegabile il fatto che fossero stati chiusi per una lunghezza di circa 350 metri con terra fino al soffitto”). The story as told by Professor Debertolis also involves grave robbers, and even human sacrifice, involving some hapless victim who, in his last agony, buried alive with the king and queen (“Se qualcuno è stato chiuso vivo dentro i tunnel la motivazione poteva essere solo per una ragione veramente importante. [...] D’altra parte conosciamo altri episodi storici di questa terribile abitudine di tumulare persone vive accanto alle salme di persone importanti anche in altre civiltà.”), desperately clawed at the walls of the tunnel with his bare hands (“L’idea di cercare una tomba importante ci è venuta in mente presi dall’emozione dei segni di graffi che abbiamo trovato sulle pareti nella sezione dei tunnel oltre la parte sigillata dalla terra”). Gripping stuff ... although with not much in the shape of solid foundation to it; and we can only note the ease with which Professor Debertolis gets carried away on his flight of fancy. This is not a criticism: imagination, rather than Bachelard’s “epistemological obstacle”, is a quality often found in scientists. Nevertheless, it still remains necessary to confront the hypothesis offered up by the imagination with the observed facts. One should also check that these facts do not have some simpler explanation, requiring rather less by way of unsupported proposition and supplementary hypothesis (principle of parsimony, or Ockham’s razor). In the case of the Ravne tunnel, Ockham’s razor is cheerfully binned by both Messrs. Debertolis and Osmanagic. 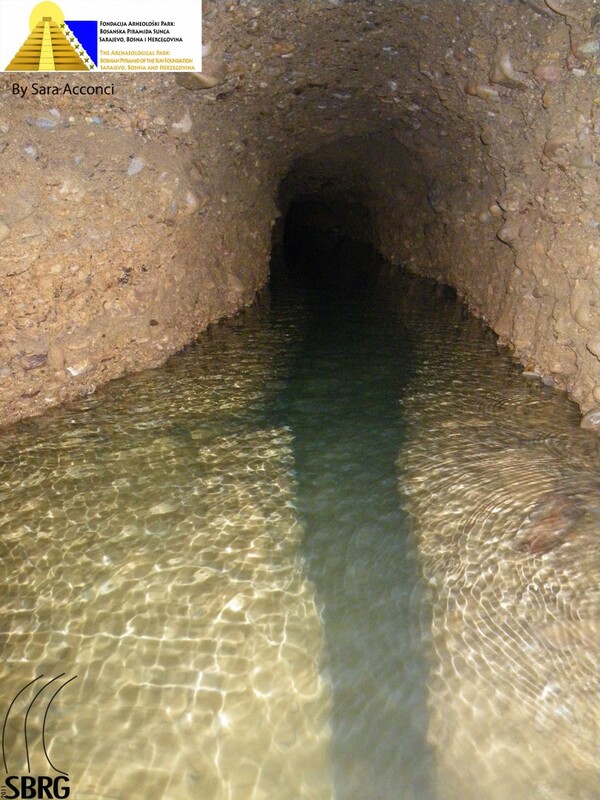 All their assumptions about the tunnel require, on the one hand, acknowledging the existence of two or three civilizations hitherto completely unknown to experts in Balkan prehistory; and, on the other hand, the existence of a wide range of phenomena, some non-measurable by modern science (the ‘negative energy’ of underground streams, Hartmann grid ...), or other phenomena that have not withstood rigorous analysis (‘artificial concrete’ from the ‘pyramids’, or ‘synthetic stone’ from the ‘megaliths’ in the tunnel ...). Moreover, it seems to me that certain facts are heavily exaggerated or distorted if circumstances require. I will take one example, that of the alleged ‘sealing’ of the tunnel, effected with the purpose of protecting its secrets. While there is no doubt that the side galleries have been blocked with earth and boulders, and walled by stacks of dry stone, it does not appear that the main tunnel has ever been intentionally blocked off (although, of course, this is the sort of thing that might have been expected in the event of there being a wish to protect the supposed "royal tomb" located 90 meters from the entrance). 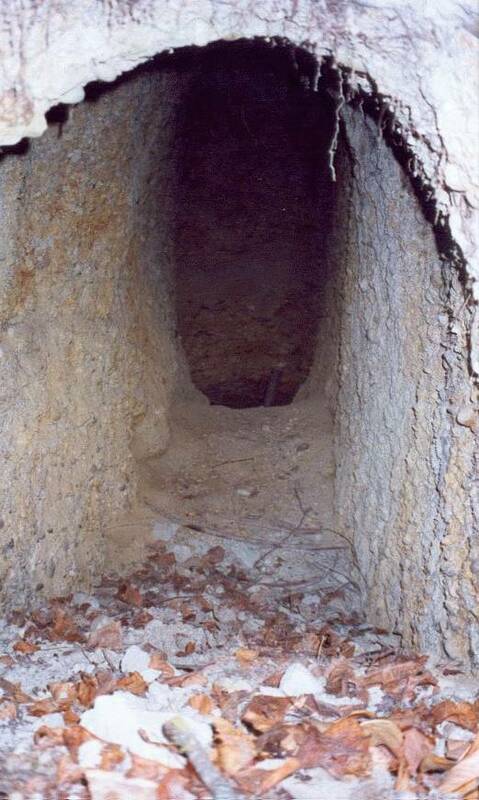 This tunnel was known to the local inhabitants – especially children - before Osmanagic came on the scene. In April 2006, according to Amer Smailbegovic, before the Foundation had carried out any work, some 342 metres of it were just about accessible. Until the end of 2010, the work effected by the Foundation consisted principally of widening the gallery, securing it, and opening up of some of the blocked side galleries. A video dated 15th April 2006 shows the state of the tunnel, which on that date was generally practicable (the Foundation did not begun work there until the winter of 2006-2007 (bs)). 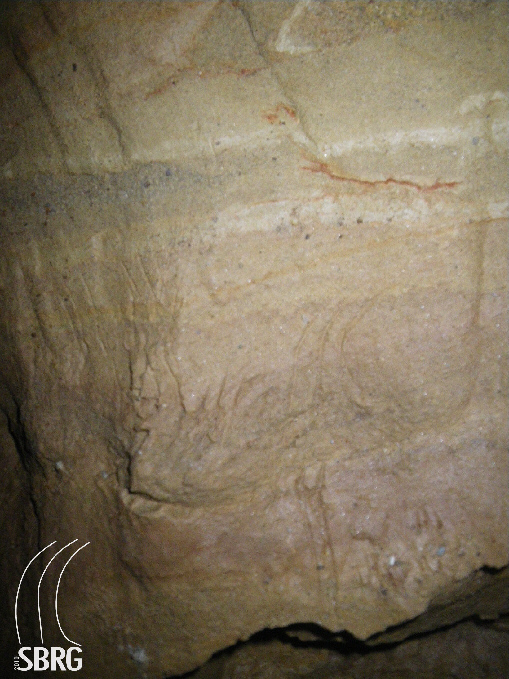 Charcoal graffiti can clearly be seen on the walls, for example, in about the second minute. At least as far as the main gallery is concerned, we are probably not looking at a gallery that was intentionally closed off by a people of mysterious origin. Instead, we are simply looking at an abandoned gallery, with crumbling walls that have gradually collapsed, making access ever more difficult . The only galleries to be intentionally walled off were some secondary ones (see also this video dated 13th March 2007, made during the widening of the very first part of the tunnel). This pipe was first mentioned on the David Icke forum by the ‘geologist’ Richard Hoyle. As far as Hoyle is concerned, the pipe was placed there in the 1960s. Despite acknowledging a ‘minor inconsistency’ with the ‘official’ version, according to which the tunnel was completely blocked until its ‘discovery’ by the Foundation, he did not seem unduly bothered by it – in contrast to some other contributors to the same forum, and also contributors to the Italian forums (it) frequented by members of the SBRG. As some of these forum contributors immediately realized, this evidence of 20th century use of the tunnel raised a lot of questions. Whatever its purpose in ‘antiquity’, it is difficult to relate the tunnel’s contemporary use to any of the theories mentioned above. People using it during the 20th century probably had good reason to do so, and efforts should be made to find that reason. One theory about the history of the tunnel that I have sometimes seen suggested on certain forums, for example here, is that it was used by the Yugoslav army, the JNA, perhaps to store ammunition. The same hypothesis has also sometimes been suggested for the other tunnel, the one known as ‘KTK’, which at one time served as storage, if not for the army, at least for the organization of that name. 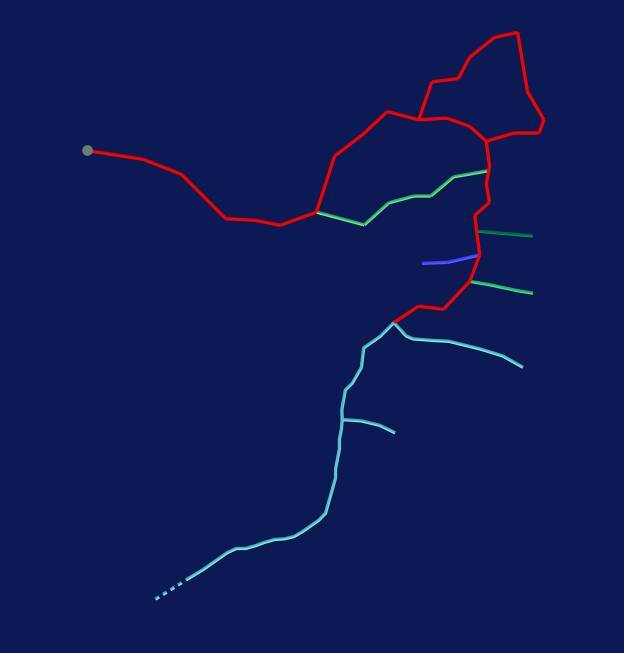 As far as the Ravne tunnel is concerned, the hypothesis does not seem to stand up too well. The tunnel could possibly have served as a temporary cache, such as for members of the resistance during World War II, or during the 1990s conflict, but no modern army would store ammunition in such narrow tunnels with such crumbling walls just for the fun of it – and all without leaving any trace of installation. 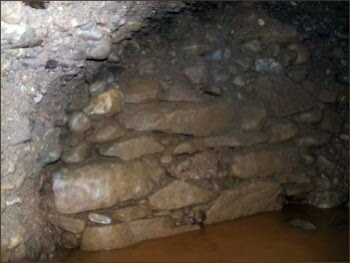 None of the other theories sometimes suggested (Roman undermining tunnel, mediaeval tunnel linking up with the fortress of Visoki, water collection ...), meanwhile, seems able to explain both the relatively recent use of the tunnel, and also fit the various characteristics described at the beginning of this article. There is, however, one theory which, although unfortunately lacking the exotic character of those developed by Messrs. Osmanagic and Debertolis, could very well explain most of the features of this tunnel, and which I shall briefly discuss here. Let me be absolutely clear: I’m not trying to do ‘armchair archaeology’! All I’m trying to achieve is simply to show that the theories put forward by the pseudo-archaeological community are not written in stone, and that there is a possible explanation for the Ravne tunnel that is less far-fetched, and perhaps more consistent with both the historical and archaeological context, and also the geological context, even if it is possible that the reality still might turn out to be something else altogether. 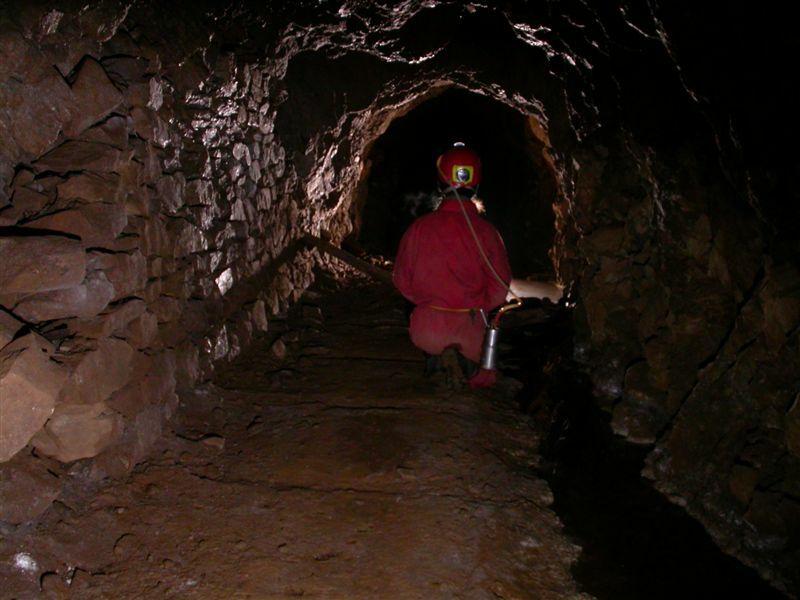 The Greeks were already practising such techniques in the silver mines of Laurium (fr), although, in that particular case, it seems to have been with a view to saving air, difficult to renew at these depths. 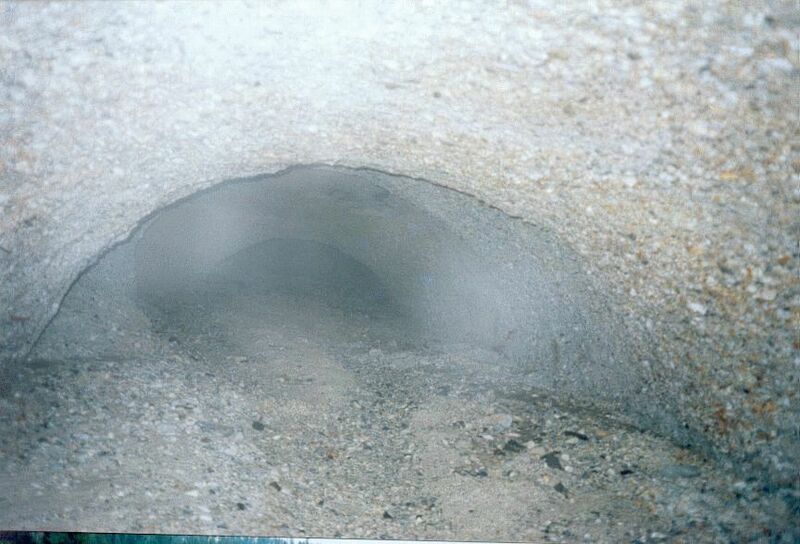 More recently, in the modern era, this technique has been systematically used on a large scale in underground quarries (for example, in Paris (fr) until the 19th century), and was known as “stone-walling and back-filling” (“hague et bourrage”). “Back-fill” (“bourrage”) consisted of waste rocks (or low-grade stone not good enough for quarrying), while “stone-walling” (“hague”) referred to dry-stone walls. 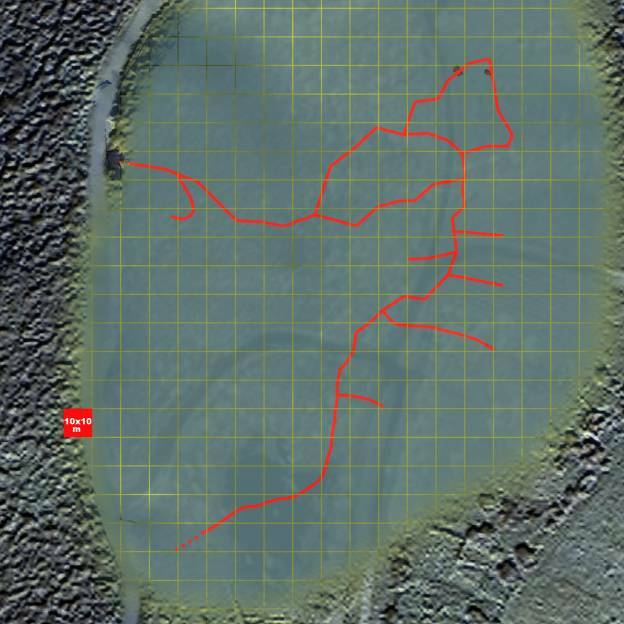 channel that the Foundation is in the process of reproducing downstream from the structure discovered by GPR! 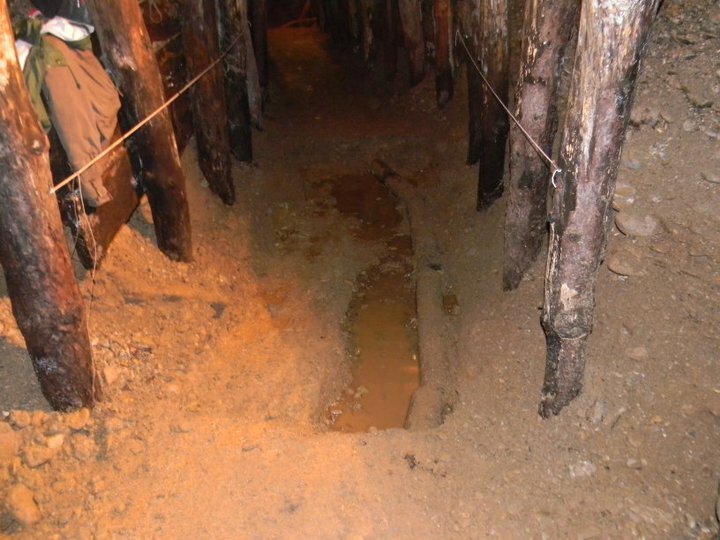 (See also this page (fr) on mining techniques, in particular Figure 16, which shows an overdeepened floor, topped by a boardwalk). There are several different sorts of gold deposit. The first is known as a ‘primary’ deposit. This particular form of deposit, associated with magma intrusions, is generally found in veins formed by deep hydrothermal circulation, most often associated with quartz. Gold is also found in so-called ‘secondary’ deposits. Following the surface erosion of primary deposits, the gold, in the form of detritus, is gathered up, together with other material produced by erosion (sand, gravel, pebbles), and transported by watercourses for greater or lesser distances. When the current loses momentum, the material is then deposited in a ‘placer’ on the bed of the watercourse, or in a delta. There are even ‘tertiary’ deposits, where an ancient placer, having become consolidated, is subjected to erosion by a modern watercourse that gathers up the flakes or grains of gold, resulting in a new placer on the waterbed that can then be worked. Between the two World Wars, the principal gold mine in Bosnia was in this region, in Bakovici, but mining of primary deposits in this area goes back a lot further. 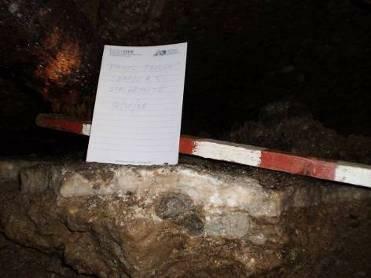 A document dating to 1365 mentions gold- and silver-mining in Fojnica (bs). 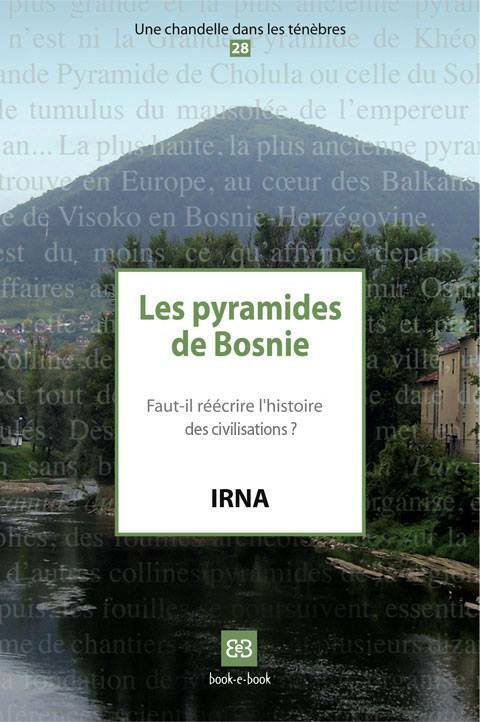 In “Les mines d’or et d’argent en Serbie et Bosnie” (fr) (“Gold and silver mines in Serbia and Bosnia”, 1960), the historian Desanka Kovacevic analyses the veritable ‘gold rush’ and ‘silver rush’ experienced in the Fojnica region during the fourteenth and fifteenth centuries. Even earlier still, in the Roman era, if the map published by Alfred Michael Hirt in "Imperial mines and quarries in the Roman world" is anything to go by, there was a heavy concentration of gold-, silver-, iron- and copper-mines in the valley of the Fojnicka (Kresevo, Ostruznica, Busovaca ...) It is possible that there was mining for gold in the Vranica range even before the Roman era, as prehistorians have shown that there was early development of copper and gold metallurgy in central Bosnia (see, for example, page 23 et seq. of this article (bs), where Ms. Kujundzic-Vejzagic examines the transition from the Neolithic and Chalcolithic (‘Eneolithic’) in sites like Butmir and Okoliste - see in particular page 32). When the primary deposits of the Vranica range reach surface level, they are of course subject to erosion. As the left bank tributaries of the river Bosna come down from the mountains, gold is picked up and carried by the watercourses such as the Lasva, or the Fojnicka which join up with the Bosna at Visoko. Panning for gold - washing river sediments to find these gold particles - is attested in antiquity on the Lasva and Fojnicka: see "Antiquarian Researches in Illyricum" by Arthur John Evans, who, on page 125, mentions that, in the Roman province of Dalmatia, in addition to slaves working in the imperial mines, there were independent gold washers as well, auri leguli. 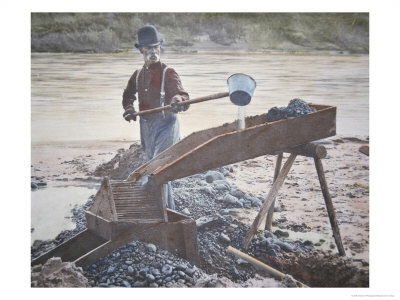 According to German travel writers, gold washers were also to be found during the nineteenth century: see, for example, "Geologische Führer durch Bosnien und die Hercegovina" (de) by Friedrich Katzer (page 60). The official Fojnica town website also mentions gold-bearing sands (bs) in the river Zeljeznica (a tributary of the Fojnicka, not to be confused with another Zeljeznica, that flows into the Bosna near Sarajevo) and the river Dragaca, and gold washing is even mentioned as a tourist leisure activity! The Witwatersrand in South Africa, which has provided nearly 40% of the total amount of gold mined worldwide, consists of a very ancient conglomerate deposited in a sedimentary basin over 2.5 billion years ago. I cite this only by way of an indication, the geological history of the Witwatersrand being very different from the examples below. The El Boludo placer, in the state of Sonora in Mexico, consists of tertiary age sediments transported to a lake basin from surrounding mountains with rhyolitic intrusions. In it are found alternating layers of conglomerate, micro-conglomerate and sandstone, most of the gold being concentrated at the base of layers of conglomerate. The deposit is interpreted as a series of alluvial fans in a lacustrine environment at the mouths of watercourses in the ancient lake. 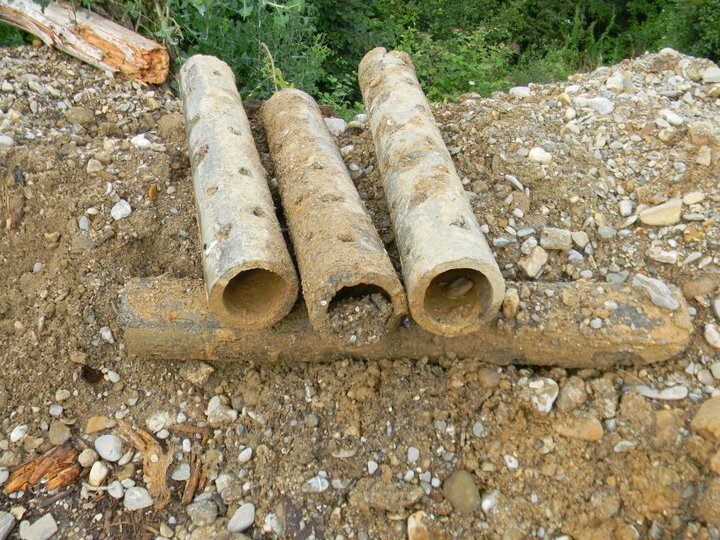 This type of gold deposit, although not very common, can nevertheless be found in Bosnia. 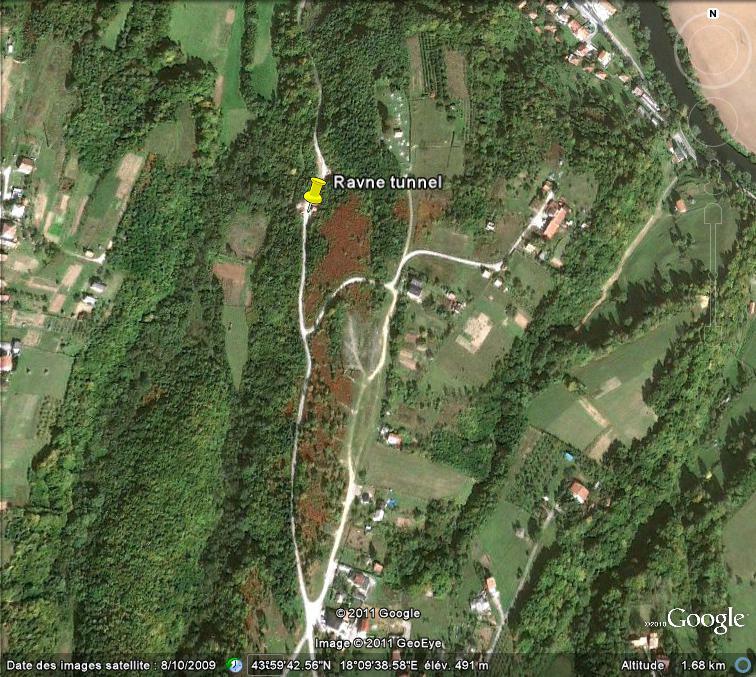 Ms. Kujundzic-Vejzagic here describes (bs) a recent discovery of auriferous conglomerates in the area of Praca and Renovica (to the east of Sarajevo), and there are allusions to this sort of deposit in ancient geological works such as "Einiges Uber Das Goldvorkommen In Bosnien" (de) by Anton Rucker, pages 64 and 97, which mentions the area surrounding Bistrica and Fojnica. 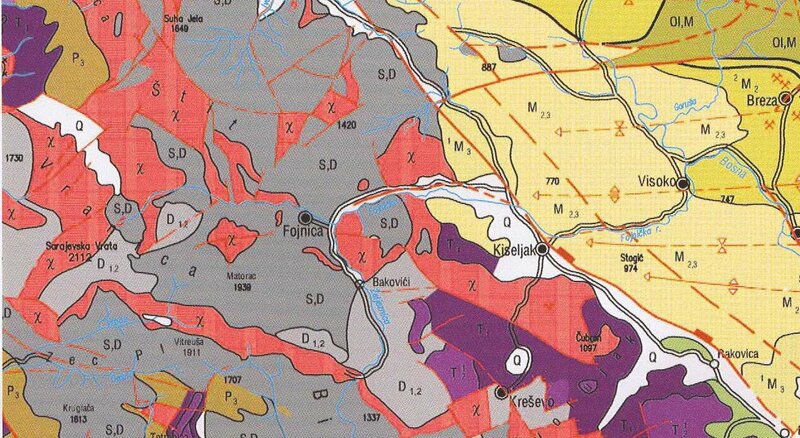 A little further over, in Serbia, tertiary gold-bearing sediment strata are to be found in the valley of Timok, as described by Dushan Iovanovitch in "Les richesses minérales de la Serbie" (fr), page 30. Moreover, in "La Bosnie populaire" (fr) (page 264), the French journalist Albert Bordeaux, who travelled through Bosnia in 1904, describes how he met a prospector, a larger than life character, who claimed to have access to "underground placers like the ones in California", a description that could not apply to watercourse placers of the present day, and could therefore refer only to ancient placers in a consolidated sediment. 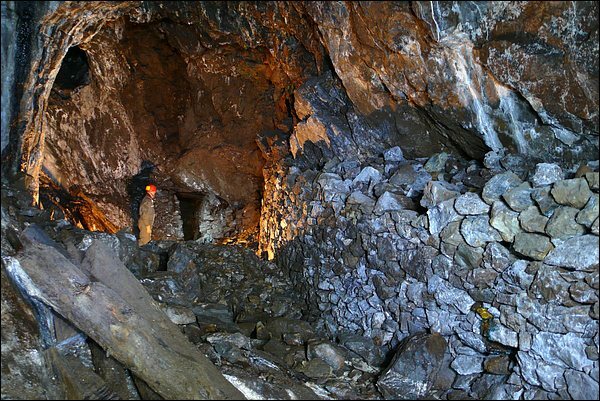 in the Ravne tunnel conglomerate, there are elements, particularly quartz and metamorphised schists, that could well have had their origin, via an ancestor of the present day Fojnicka, in Primary outcrops of Vranica range. 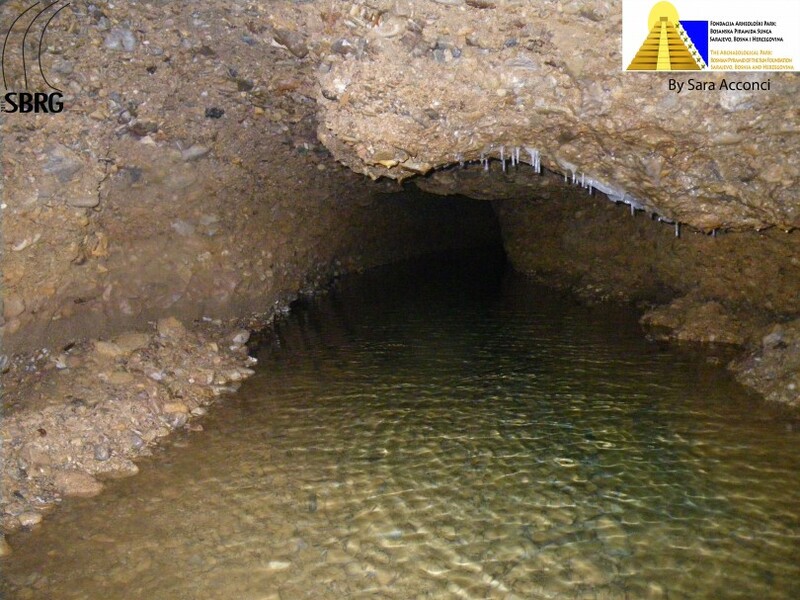 The very configuration of the tunnel is completely compatible with the idea of ​​a paleo-placer. 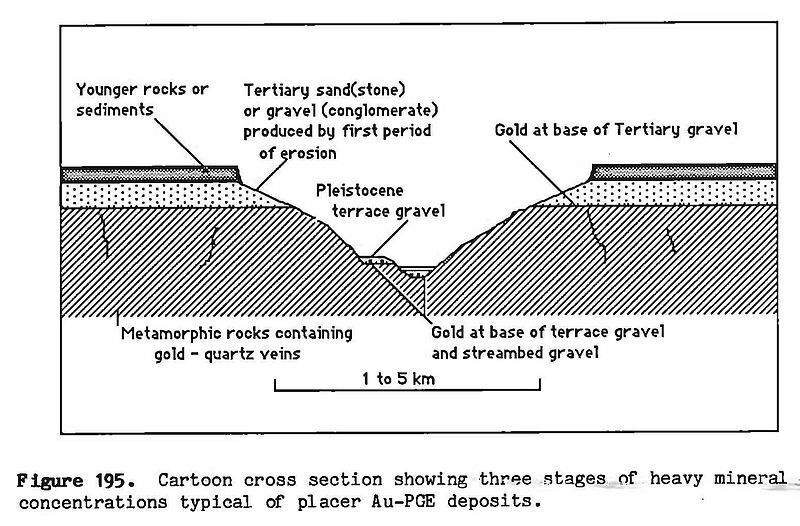 Gold would not be uniformly dispersed through the layer of conglomerate, but instead would be concentrated in pockets on the bed of an old watercourse, or in multiple channels of an alluvial fan. 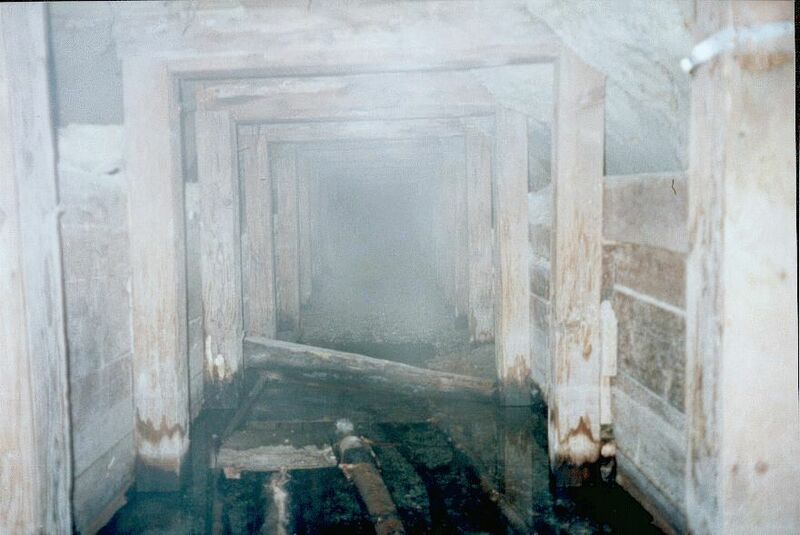 The configuration of the tunnel could thus reveal attempts to track and identify areas where minerals are highly concentrated, with multiple examples of test-galleries abandoned - and infilled - when they prove unproductive. Given these circumstances, how old might the tunnel be? In the absence of clearly dated artifacts, this is hard to say. The fragility of the walls would make me plump for workings of recent date - during the nineteenth century, perhaps continuing into the twentieth century - which would explain the presence of the fibre cement drainage-pipe (a form of cement not produced before the early twentieth century). But it is also possible that such a deposit could have been worked at several different times, with medieval or ancient workings being rediscovered and re-used in the nineteenth or twentieth centuries. 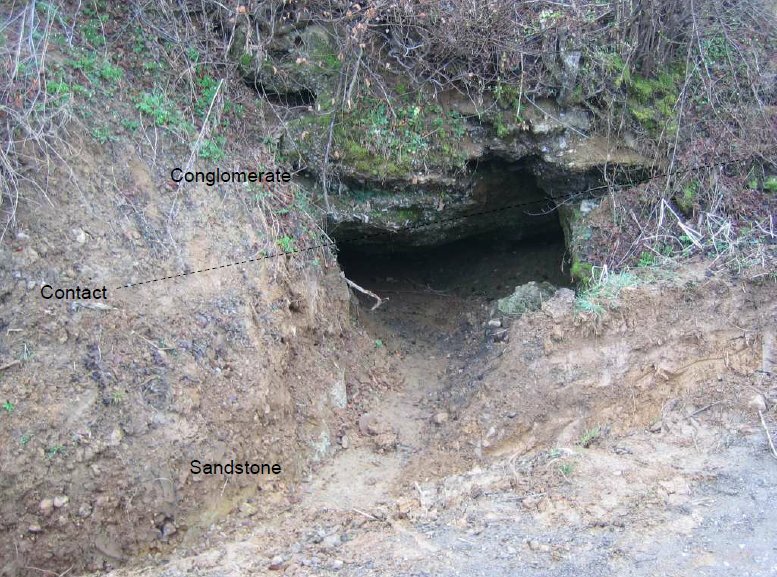 The dating of old mine workings is often problematic, later resumptions of ore-extraction often having the effect of erasing any earlier traces, and removing any artifacts that might otherwise have served for dating purposes. 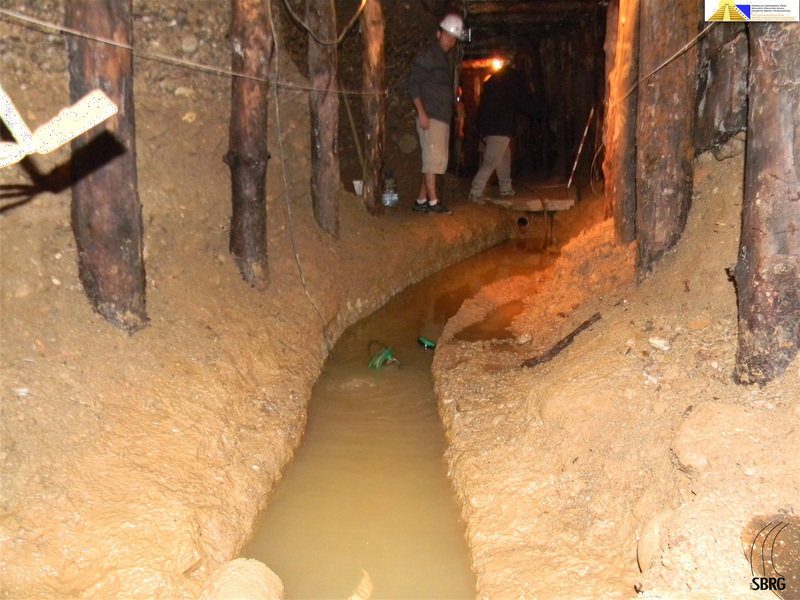 There are examples of such difficulties in the case of some of the Roman mines in Rosia Montana studied by a team led by Beatrice Cauuet (fr). In this document, for example, on page 88, is a reference to a site that it has been impossible to date, because modern extraction work has removed all traces of ancient working, including charcoal that could have provided dating evidence. These are not, perhaps, quite the artifacts that Osmanagic had been hoping for, but there is nothing about them that is inconsistent with the hypothesis of a small-scale mine. 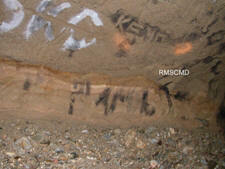 Moreover, there is the question of whether all the artifacts that were found were published. For example, a 2010 volunteer mentions in his Facebook profile ‘pottery’ found in the tunnel, near the underground ‘lake’. 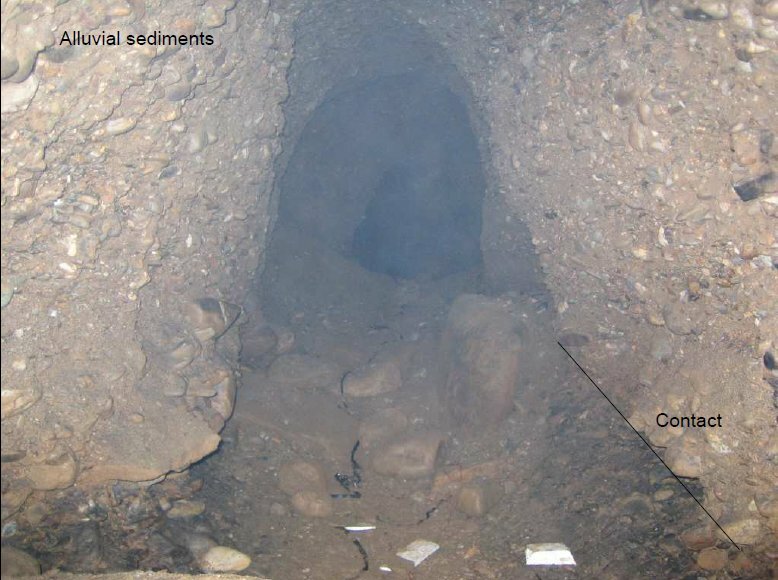 I have, however, found no mention of pottery associated with the tunnel either on the Foundation website, or in the SBRG documentation. There is also the possibility of small artifacts (nails, small coins ...) remaining unnoticed by the excavators. 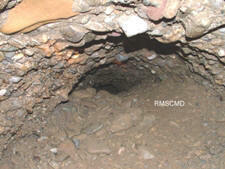 Indeed, as shown in the first minutes of this video, it appears that sediment extracted from the tunnel is not sieved. 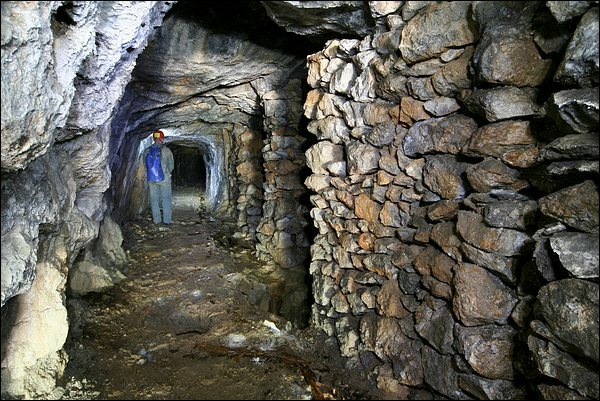 Finally, the scarcity, or absence, of artifacts in an old mine is hardly a unique phenomenon. Back at Rosia Montana, galleries attributed, thanks to their shape, to the Roman era, contained no artefacts at all (page 87): no drainage or ventilation, no lamps or niches for lamps, even in the parts at the greatest depth. It is often outside, rather than inside, mines, in the dumps (or tailings), that artifacts of interest are to be found. If Ravne really is an ancient mine, there should be found, fairly close at hand (preferably in a place with a good supply of water) the remains of washing operations, which could presumably have been carried out by rocker, long tom or sluice. This article has been heavily edited by its author since 2011. The original article, where the idea of an artificial material is more explicit ("The structure is entirely made of ancient concrete and then covered by almost 20 metres of earth"), can be read here. 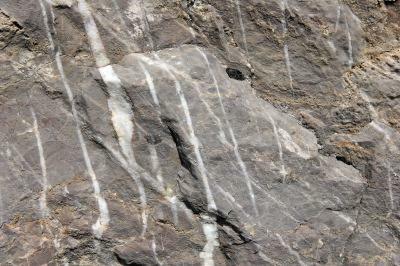 Unlike the Visocica conglomerates, whose matrix is ​​highly calcareous and generally much more resistant. It should however be noted that prof. Debertolis has since then renounced this theory, and consequently edited his article, see here. A copy of the original version of the article can be read here. Might the Foundation have learned from past mistakes, such as when it made extensive press announcements about the discovery of the ‘entrance’ to the ‘Pyramid of the Moon’, a door that was subsequently proved to be nothing more than the foundation of a stone hut? Or could this prudence and discretion be a demonstration of ill humour from Osmanagic in response to the Italian SBRG team muscling their way to the forefront and apparently ‘hogging’ the said discovery? Being pushed aside and relegated to the background is not something that Osmanagic is used to.. But of course copper is not excluded, or both gold and copper, which are often associated. And this erosion was much more active during the Miocene orogenesis than nowadays, as shown by the coarse conglomerates of the Lasva series. For readers interested in abandoned mining heritage sites in France, I can only suggest that they go and visit the magnificent site of Vincent Dusseigne, devoted, among other subjects, to the industrial and mining heritage of France and Belgium. An interesting article! Unfortunately, it seems that Professor Debertolis won’t be returning to the Ravne tunnel for the moment, as he has been forced to turn back at the Bosnian border because of a problem with Customs and Immigration. But, bearing in mind Professor Debertolis’ links with the University of Trieste, and given that he has been insisting for weeks on the huge importance of the discovery, couldn’t one of his colleagues from Trieste have taken over? There are plenty of qualified people in the Archaeology Department; for instance, Prof.ssa Emanuela Montagnari Kokelj, who has published several articles on the pre-history and proto-history of Slovenia and Croatia. Surely she would be admirably qualified? If not her, then why not (even though their main area of expertise is Classical archaeology) this lady or this lady, or one of their colleagues? At any rate, it looks as if you’ll be able to wear your hat for at least a while longer! 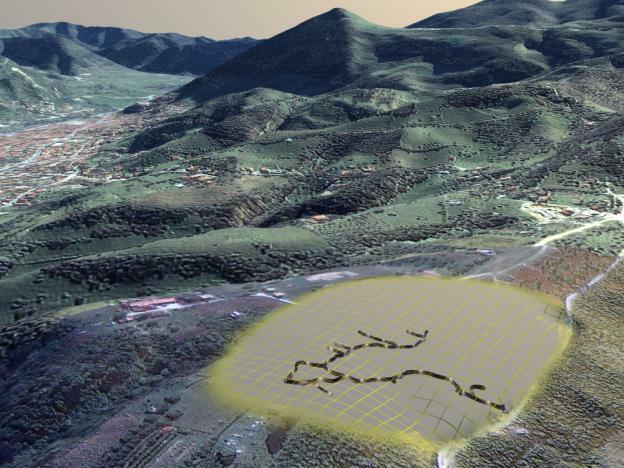 Although it’s been some time since your article first appeared, I thought that readers who want to know more about ancient mines might be interested in this report about a large Roman copper mining operation at Munigua, in S. Spain, which has just (March 2017) come to light. Apparently, the Roman operation was a later one; mining work was first carried at the site about 4,000 years ago. Two things : I’m surprised to discover that volunteers are about 40/50 ? And about that " bizarre " thing find by radar in the tunnel : two or three days, well, maybe five .. seem to be quite enaugh to find out what it is, no ? So, why are we still waiting informations ? Oh yes : lack of volunteers ! Semirmagic fait-il durer le plaisir, pour engranger des pèpètes ? avec les touristes ? Notez, je pourrais le comprendre, faut bien vivre ! Mais quand même, on en est tjrs au même point : rien de neuf ! Oserais-je le mot : consternant ? Mais bon, les dégats seront peu importants s ’ il s ’ agit d ’une colline naturelle ! Quand je pense qu’un certain Semir Osmanagic critiquait les archéologues de son pays en disant qu’ils vivaient au XIXème siècle ! Heureusement qu’il ne voit pas ce que fait Osmanagic Semir ! 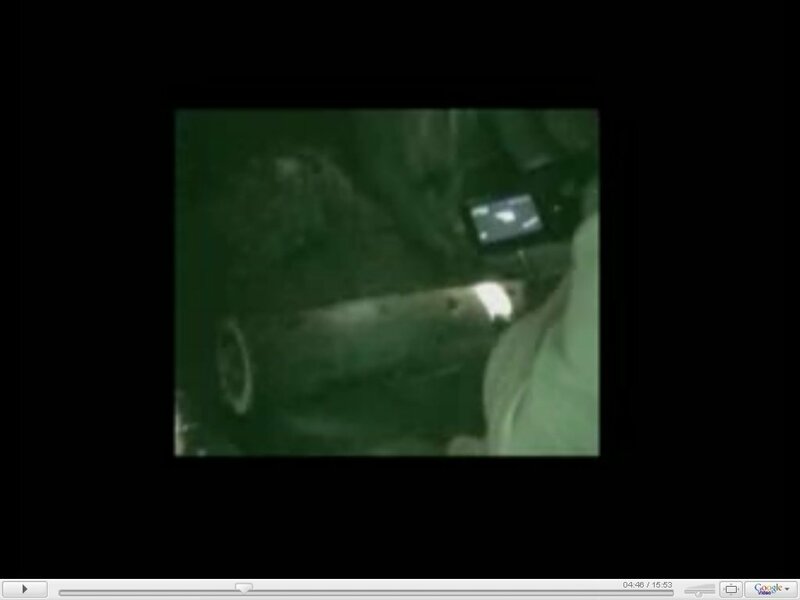 Taking a look at the scans, I think that a possible guess is "abandoned pipes", with an instrument reflection. 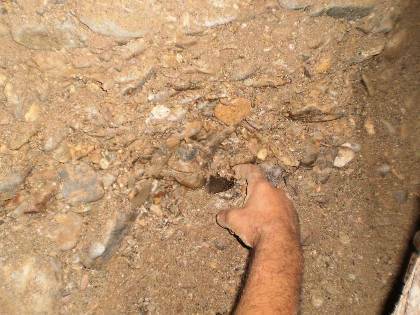 My understanding is that the "tomb" is buried under 70 \80 cm of mud and concretions. Using the Occam razor, if they found nearby some abandoned pipes, they will find some other pipes. So, if you will eat your cap, I will eat mine also. 90 Meters from the tunnel entrance, and materials from the 20th century. Well, on one hand the human presence during the 20th century would explain the lack of artifacts in the tunnel, and any graffiti that looked like ancient carvings. 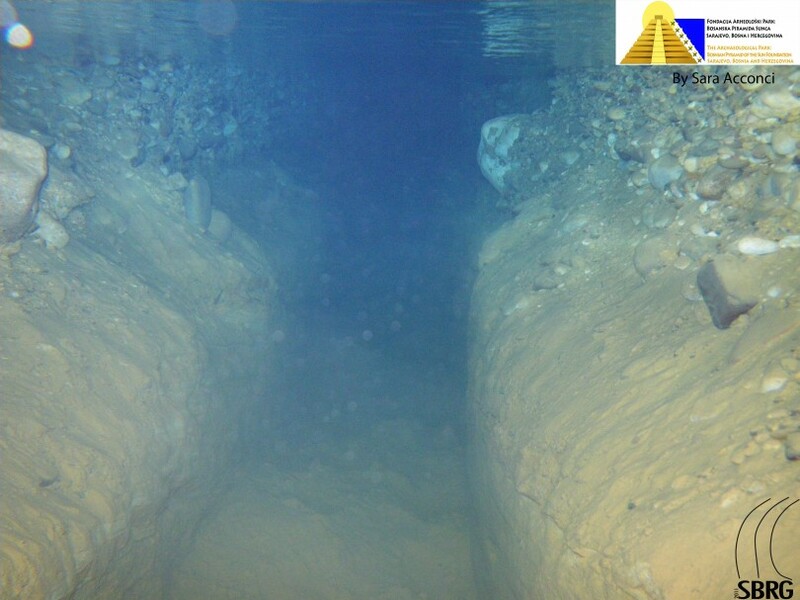 I’m not sure exactly how deep the imaging implies the structure is, but I have read 4 meters deep. If it were a weapons cache, it would be shallow, to allow for retrieval of the items, and possibly wider than deeper. In any event, I do enjoy articles. Whatever craziness happens on the web, I always come here for a more professional perspective. Thank you. Hi, thank you for your nice words.